To usher in the start of 2019 last week, we went to Nairn beach to see the sea. Ah the sea, the sea! I’d love to live closer to the sea; to have its roar and tumble and gentle numbing reassurance right there on my doorstep. It widens perspectives and disperses problems like nothing else for me. There is something so bracing and dramatic and levelling about walking towards waves cresting onto shell-scattered sands with the wind in your face and clear blue skies; dogs dashing in and out of the surf. I love this shot I took of myself, a lone photographer as if on stilts on the sand. The light was just perfect. And then again from the dunes, the two of us anonymous in silhouette. The above image transported me to Cape Town, to where my mother and grandmother were born. It’s as though in the distance lies Table Mountain beyond, not the Moray Firth. Oh how my imagination thrives on the sparest of details! Sea-treasure and heart-shaped stones. I wanted to take home a whole pocket-full, but resisted for the sake of my already burgeoning shelves and memory-boxes. The sailboats in the harbour had lovely names like SEAMOON, ELEANOR, MARIETTE and JETSTREAM. I love reading the names of boats, often hand-painted by the owners. Imagine having a boat named after you. That would be so special. The sea and boats are a great theme for a pattern collection, and I’ve had an old book of shell drawings for a few years that I’d like to use as inspiration for some new designs. Soon. Definitely soon. ‘The sea is my brother’, as Jack Kerouac said. Or at least, a long-lost cousin. Until next time lovely waves, though I must admit I wasn’t brave enough to dip my toes in. It was baltic! 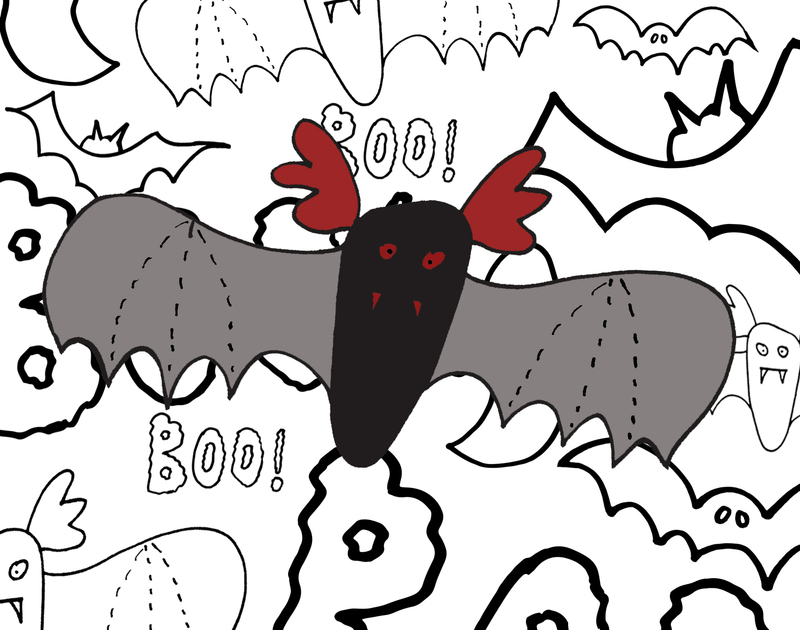 The witching hour is here and the spirits from the underworld have been unleashed...take a moment for yourself with my *FREE* Halloween colouring page featuring ghosts, ghouls and vampire bats - spooky! I created this page using my own hand-drawn motifs and first turning them into a simple repeating pattern. 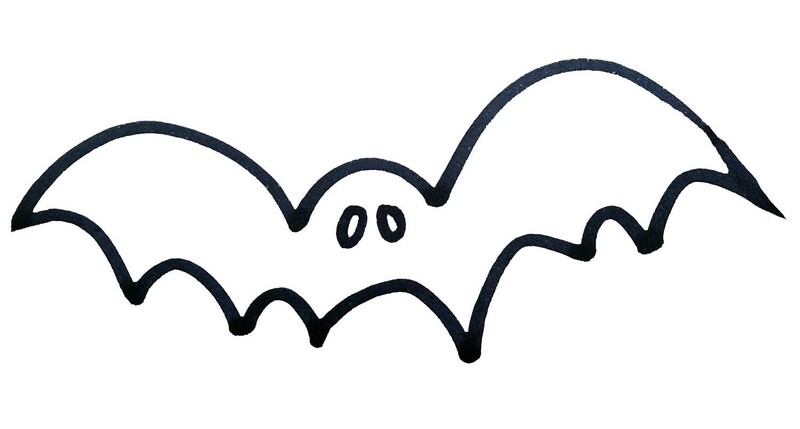 In fact, I think I've got a soft-spot for bats all of a sudden! 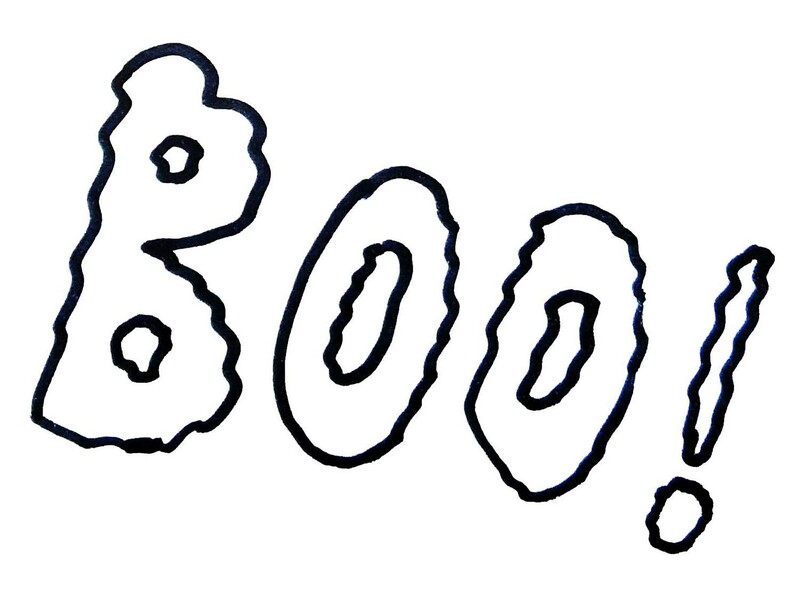 I'd love to see some creative colourings-in so tag me on social...if you dare...and Happy Halloween! 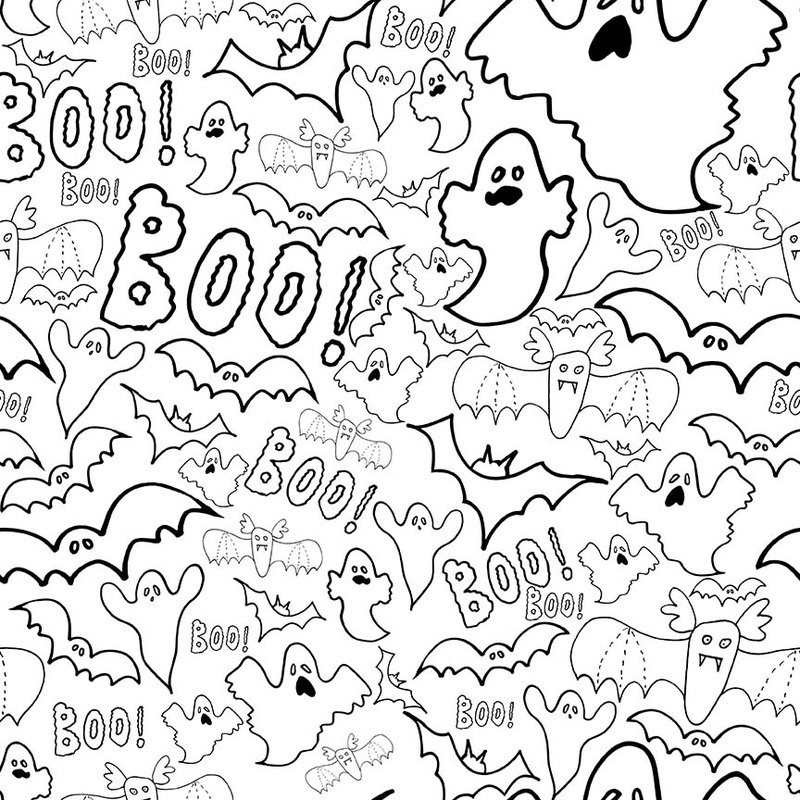 I also have one from the archives to share - my Halloween-themed collage from a few years ago. So intricate and a lot more subtle, but still one of my favs. I love an enchanted forest, don't you? 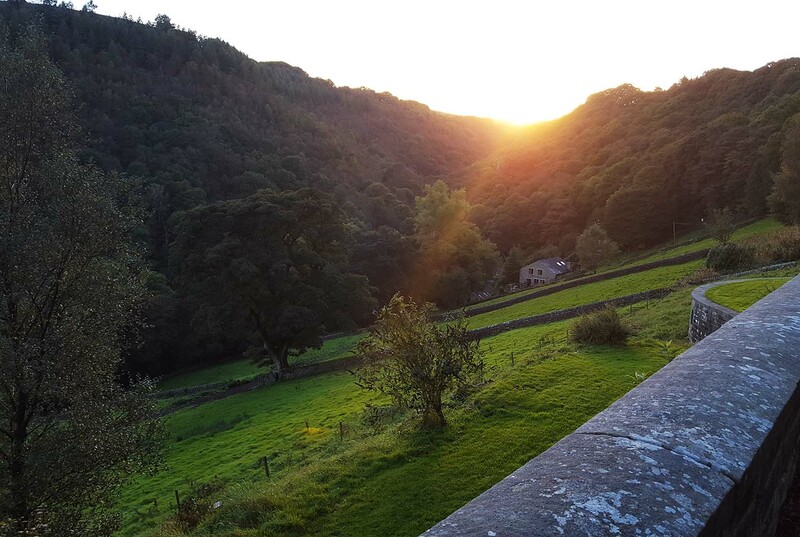 Last night I dreamt I went to Lumb Bank again... no actually, I really did. It's only two weeks since I returned and it feels like a dream, like the dream I just had, but also so close and vivid in my head, like I'm squeezing it tighter and tighter for more inspiration. 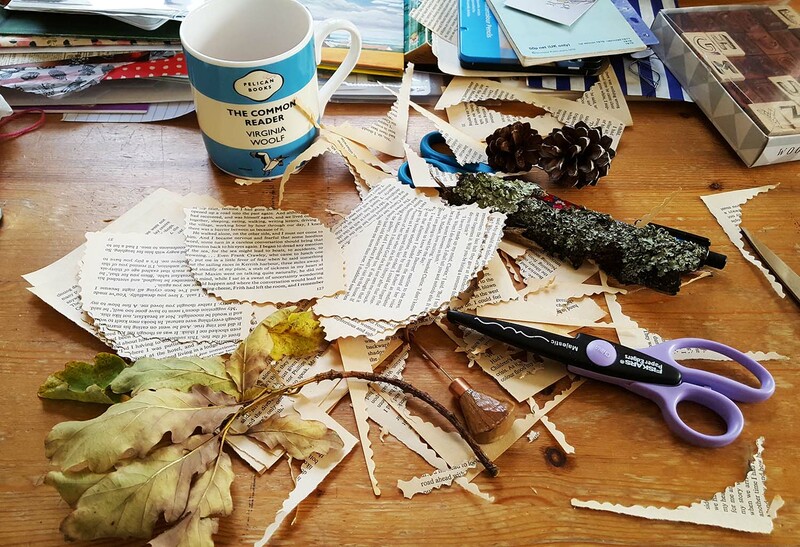 The course I took was a mix of book art and poetry, both tutors (Rachel Hazell, travelling book-binder and Stevie Ronnie, poet and artist) working hard to ensure the two disciplines meshed perfectly. We had been tasked with writing a short poem on our first night, inspired by the 'poetry fortune teller' that Stevie came up with (my 'poetry prescription' was to write a 7-line poem featuring the word 'spinning top' and the colour silver). Next we got our scalpels out to cut windows, doors, mouths, secret compartments and pop-ups in our paper books (best viewed from above I think). It was starting to feel a bit magical! 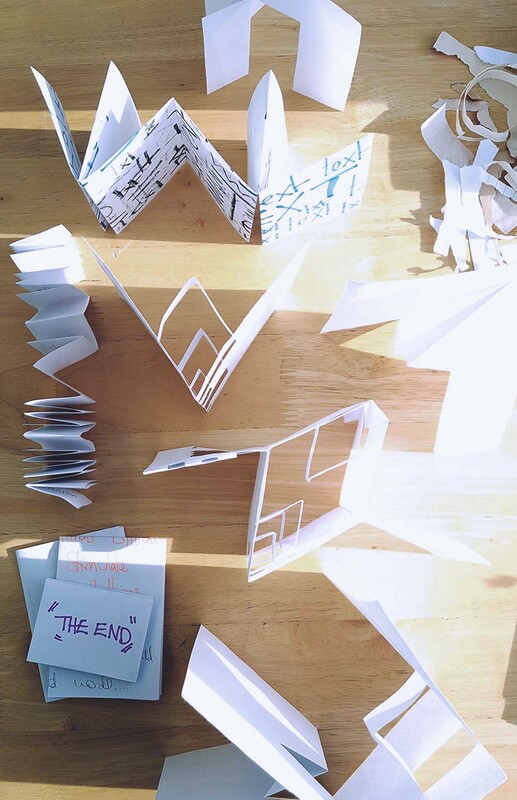 On our second day of book art-ing, we got to use 'the good paper', and make bigger books with more detailed covers. 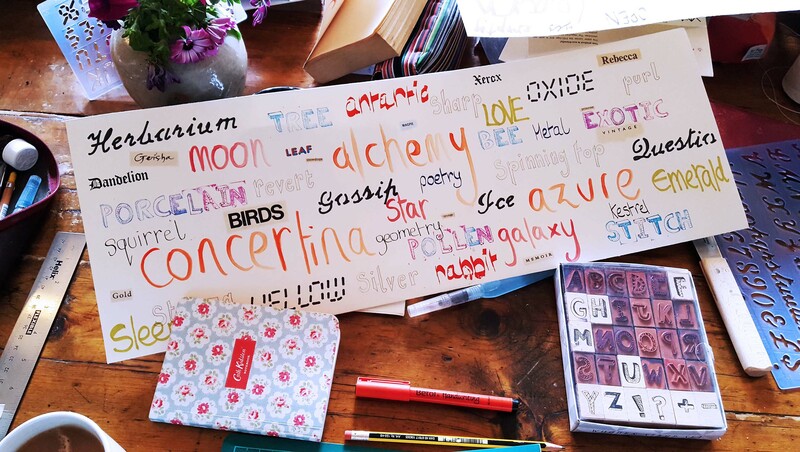 We spent some time using different methods of lettering and typography to decorate our paper, techniques like: stenciling, calligraphy, letraset, cut-out words or phrases from books and magazines, handwriting, painting and stamping. It was my first time using a calligraphy pen (real name: pilot parallel pen) and it was A-MA-ZING. Wow. So interesting. I would never have thought of these myself. Later that afternoon I spent some time making a mini-book of my own imagining, to help reinforce the binding technique. 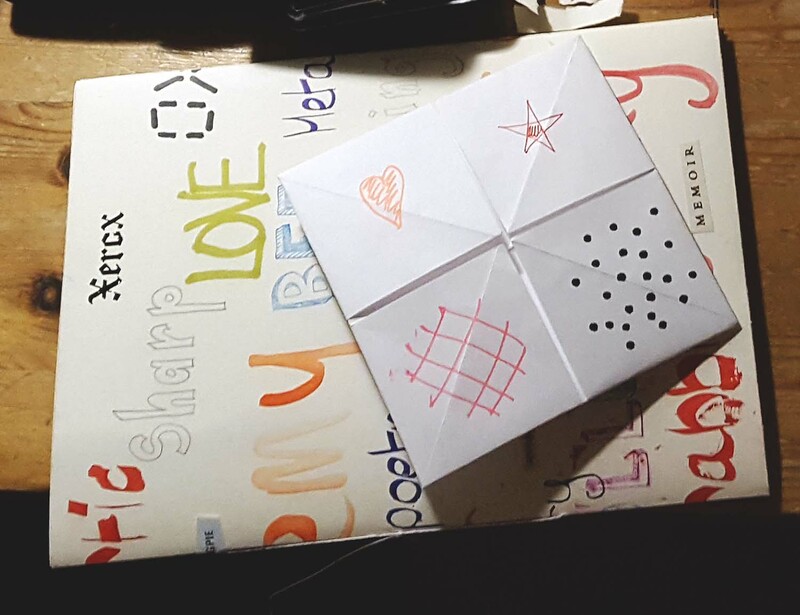 I used scraps of paper and cut-out shapes I'd saved in a tin from hole punches I used to have: stars, flowers, hearts and birds - I wish I still had them. I also experienced a big revelation while on the course: that I need to use textiles much more in my art. 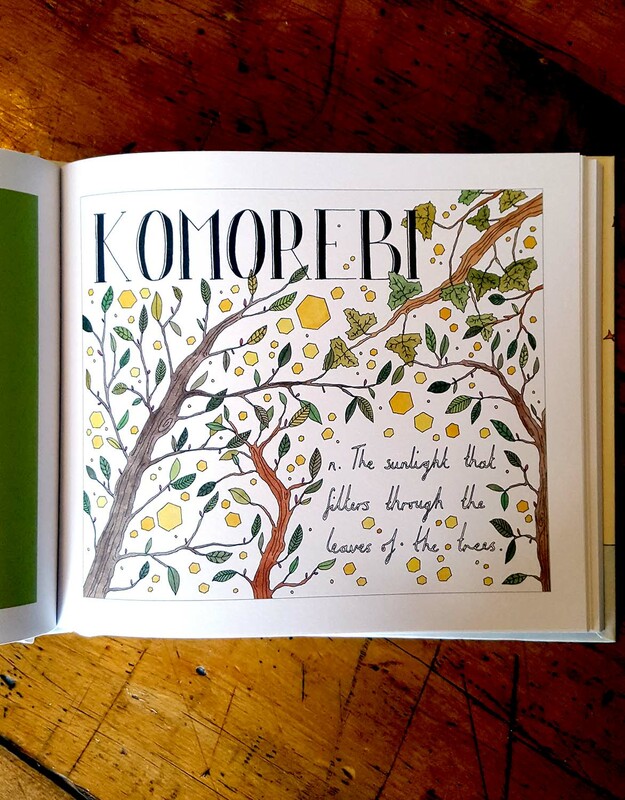 All my art as well as any book art! 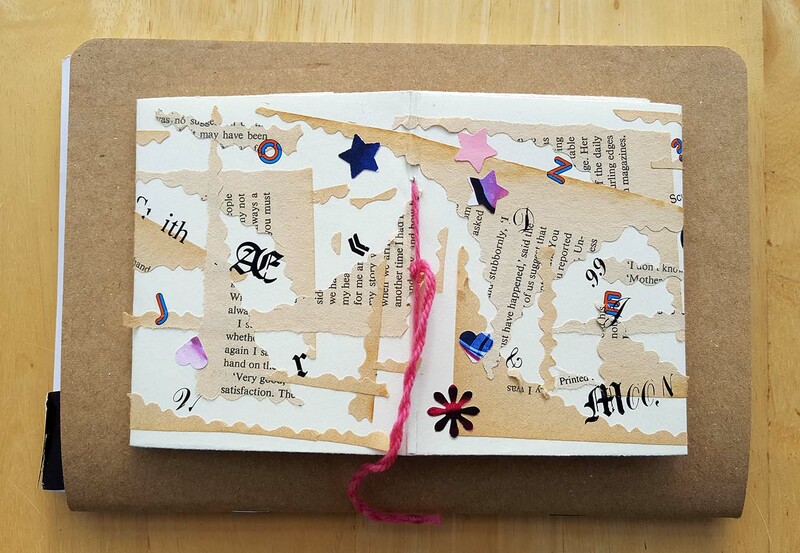 At first I wasn't going to invest in the tools of the book-making trade, because I wasn't sure if making books was going to be a big thing for me, or much more than an occasional hobby. As the course progressed though I found there was something quite magical about being in that space, with that group of people, and having the opportunity to buy the tools I was using to learn with. 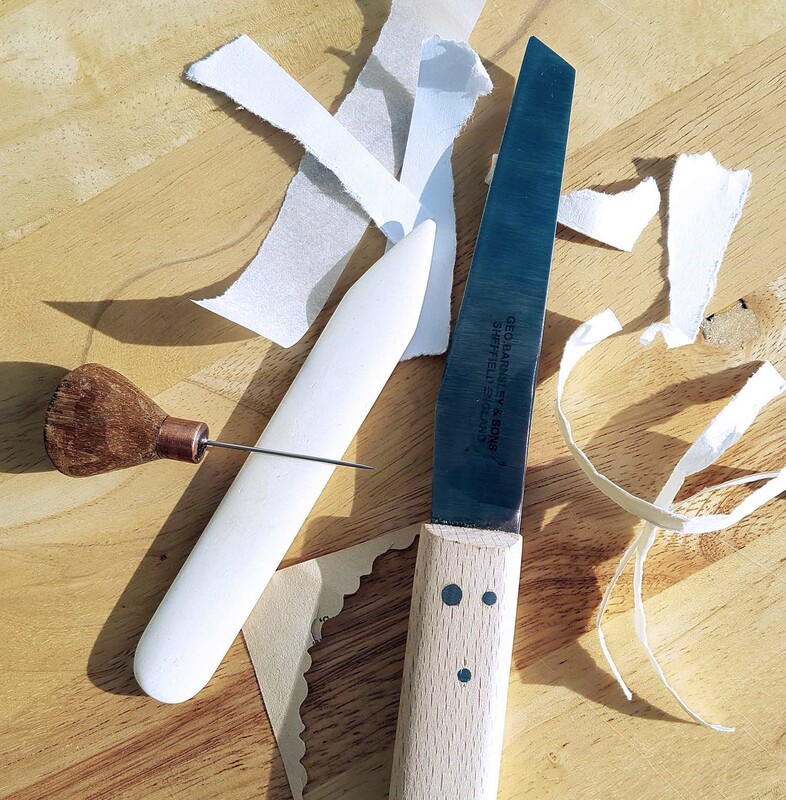 When I saw Rachel's stash of supplies laid out in the barn for sale, I knew I would be making more books and that I needed these tools: the bone-folder, the awl, the paper knife. And then I had to make another book - from scratch, by myself (OK, with a little help from Rachel). 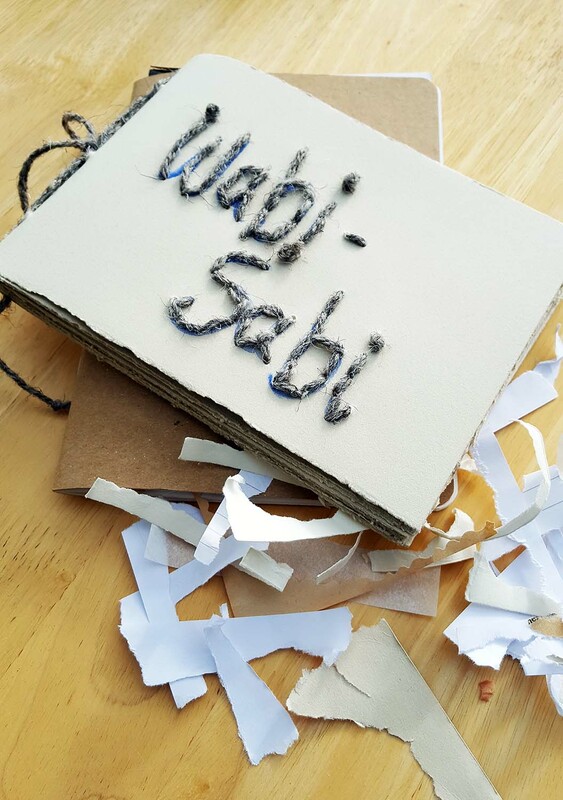 I hand-stitched 'Wabi-Sabi' on the front, some of it in low light on our last night so I missed a stitch, but hey, wabi-sabi. I love the texture and the colour which matches the grey tinge of the paper. I might tie beads onto the ends of the strands I've used to bind the book. Finally, part of the tradition on an Arvon retreat is to contribute to an anthology of work that everyone on the course gets a copy of to take home. 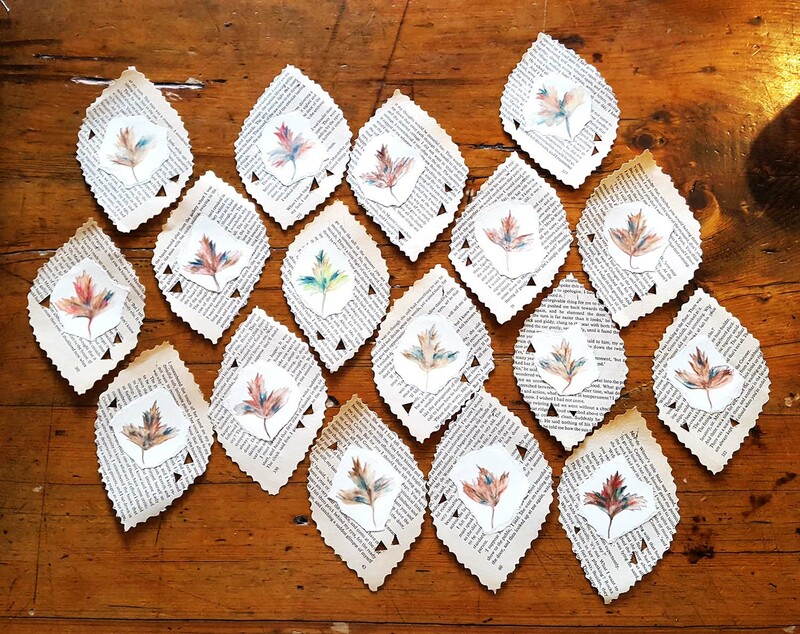 Playing to the themes of the course - and the time of year - we were tasked instead with creating a 'leaf anthology' between us - our individual artistic interpretation of a leaf with words or poetry - x 17 copies! 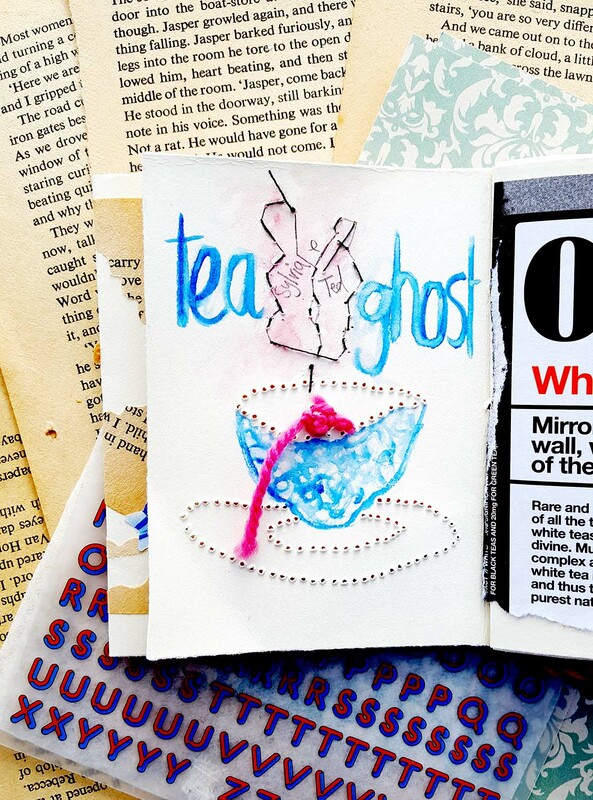 It seemed fitting for me to use pages from my aged copy of Daphne du Maurier's 'Rebecca', and make art on the leaf: BOOK + ART. 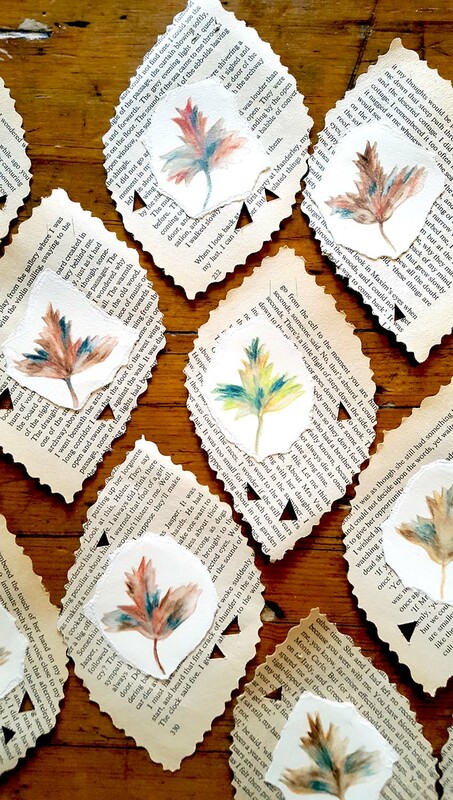 I cut out my leaf shapes then used watercolour pencils to draw an autumn leaf. I cut out little triangles to reinforce the idea of light slipping through each leaf and it felt like the perfect statement from me to my fellow book artists. Let the sunlight filter through you. Find your unique path of light. When we piled our leaves together, a length of gold wire at the ready so we could each construct our leaf -anthology garland when we got home, I was blown away (sorry) by how individual and intricate each leaf was. I've never had a leaf-anthology before and none will be as perfect as the one I've got. 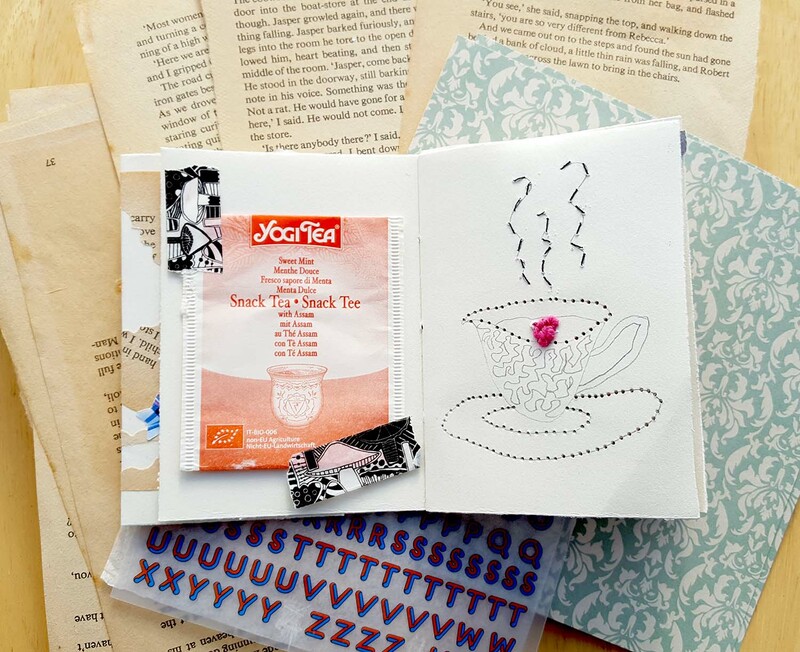 What lovely memories I have from my week of Book Art and poetry at Lumb Bank. 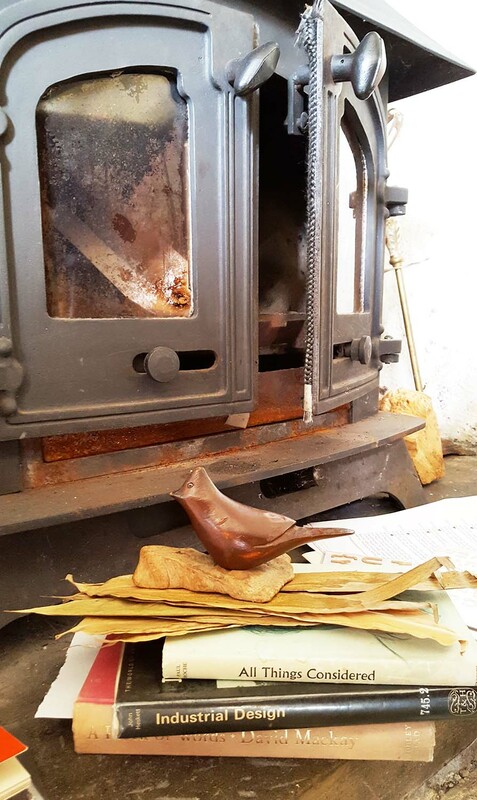 More about the poetry in another post, meanwhile check out Rachel's post to see the garland gifted to Arvon, hanging by the fireplace. I expected the book to be all about discarding as many possessions as possible, being ruthless with your sentimental 'komono' items and keeping nothing if it wasn't of the utmost practical use. There was an element of that (the part about her getting rid of her vacuum cleaner because it didn't spark joy was particularly amusing), but much more than getting rid of things, the focus was on what to keep, and most specifically, what to keep that sparks joy. Does what it says on the cover. Good start. But I didn't really think I had that much to learn about all this. I love tidying and reorganising things and feel like I've been on a mission for half my life to do just that. But then that's the problem too. The point of the 'KonMari Method' is that once you decide to keep only the things that spark joy and allocate them all a space in your home, there should never be a need to undertake a big 'clear out' ever again. A hefty claim when you consider the modern crisis of fast fashion, perk-me-up purchasing and the Western culture for accumulating possessions as status symbols. And it turns out I had a lot to learn. This week I've KonMari-ed the clothes I keep in drawers - basically folded them into squares and rolled them up, and it was pretty joyful KonMari-ing the kitchen. I will never again be defeated/deflated/deafened by pans and oven trays falling from the cupboard. And I've started using things I'd almost forgotten about. A beautiful pen, a roller-ball perfume stick, hot pink lipstick, a heart-shaped casserole dish and some bright, colourful dresses that I'd never had 'occasion' to wear. Use the things that spark joy! I also discarded about 15 pens that didn't work, didn't write well or were just cheap promotional pens I've gathered over the years and kept for no reason except maybe 'you can never have too many pens'. Except you can. I've recycled manuals and papers and been able to part with things I've agonised over for years. 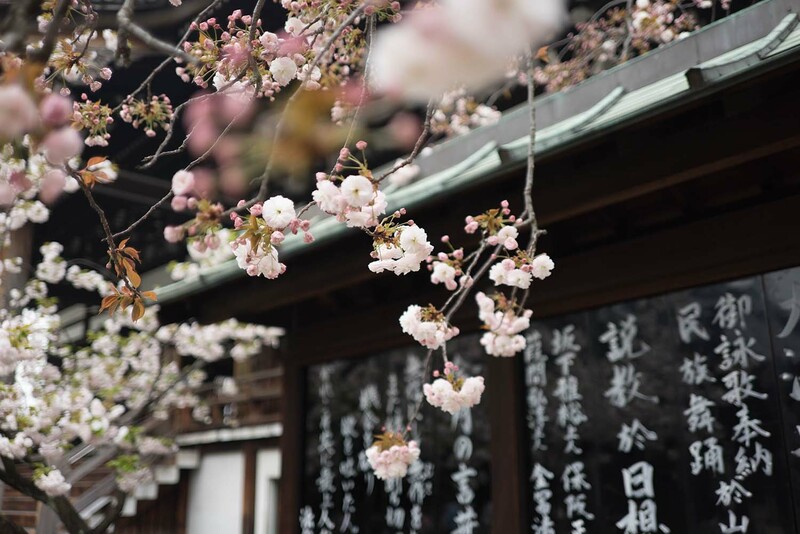 Not long ago, I went cherry blossom viewing with my family for the first time in fifteen years. We didn't go anywhere special, just to a little park near my house. Despite the sudden notice, my mother had prepared a picnic lunch...but that was not all. 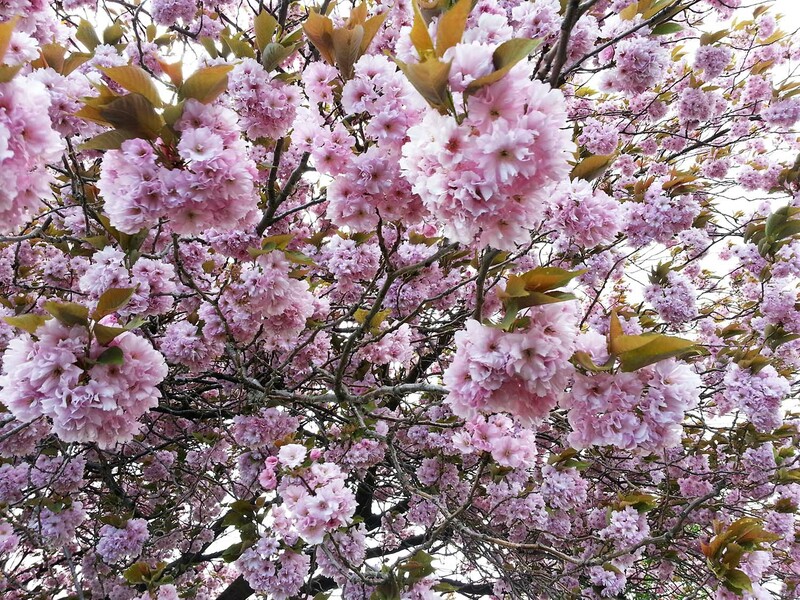 The blossoms I viewed with my family that day were the best I had ever seen. The glasses that my mother had chosen showed me the precious piece I had been missing. Her take-out thought after this wonderful day with her family was: I want to live my life in such a way that it colours my things with memories. I don't agree or disagree with these statements - I didn't feel shy or disbelieving in the future before I read the book (or before I started this special process of tidying to spark joy), but I think for some people the act of tidying up can become a deep psychological process because it forces you to analyse how you really feel about each possession and also why you are keeping it. 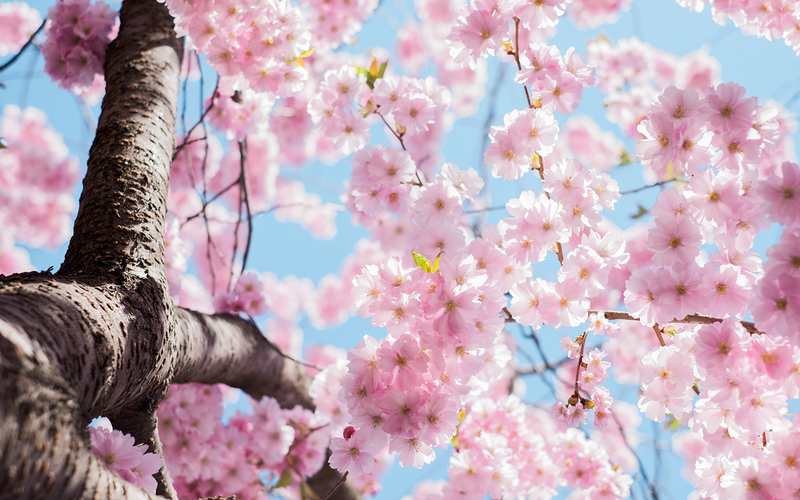 Do you have a special 'cherry blossom' memory? Cards & Invitations: Paper or Paperless?